So far, I have featured his classic deviled eggs, balsamic roasted garlic, and grilled Caesar salad. 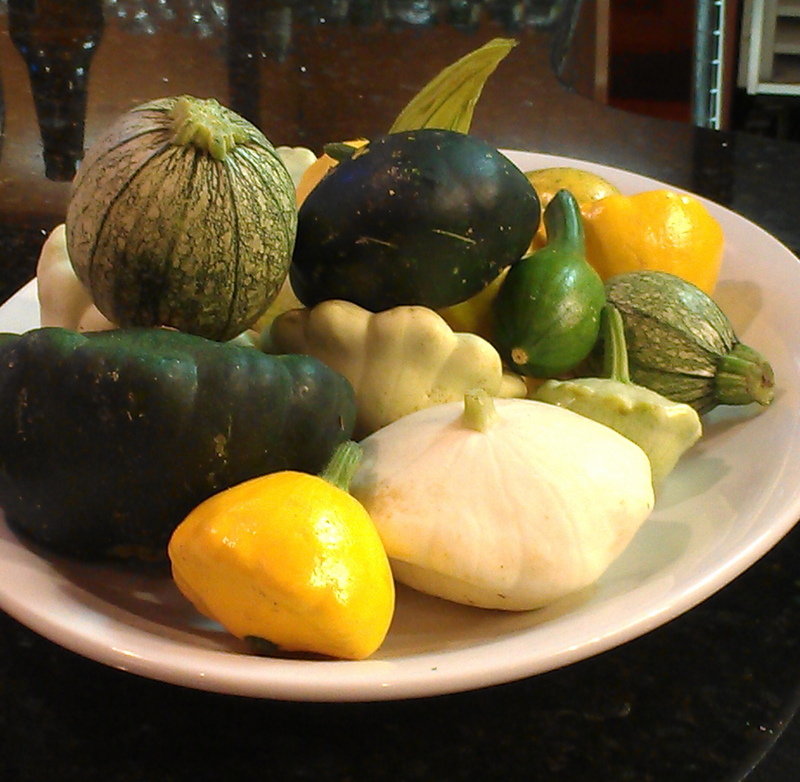 Now for the vegetable course: Herb & Garlic Roasted Vegetables. When we arrived for our class, there were a number of perfectly perfect fresh vegetables (fresh from the farmers market as that was the theme for the evening) arranged on the cabinet. 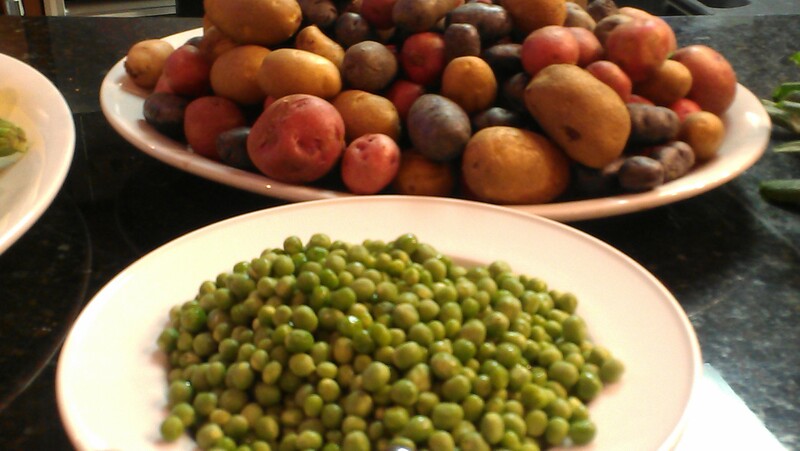 Perfect heirloom potatoes and fresh shelled peas. Chef Grant whipped up this dish right after the Caesar salad and the aroma of these garlicky veggies roasting was unbelievable. Preheat oven to 450 degrees. Combine vegetables, garlic, herbs and oil in a large bowl. Season with salt and pepper; toss to coat. Spread out in a single layer on a rimmed baking sheet. Roast, stirring halfway through cooking process. Cook until tender, golden brown, and charred in spots, about 20 minutes. Serve warm or at room temperature. If using peas, add in the last 10 minutes of cooking. For an added kick (and on a whim), Chef added a bit of Champagne vinegar when he stirred in the peas. He stated that you could also add a bit more olive oil, lemon juice or white balsamic at this point for other variations. I would never have thought to roast peas, but they were a perfect addition. 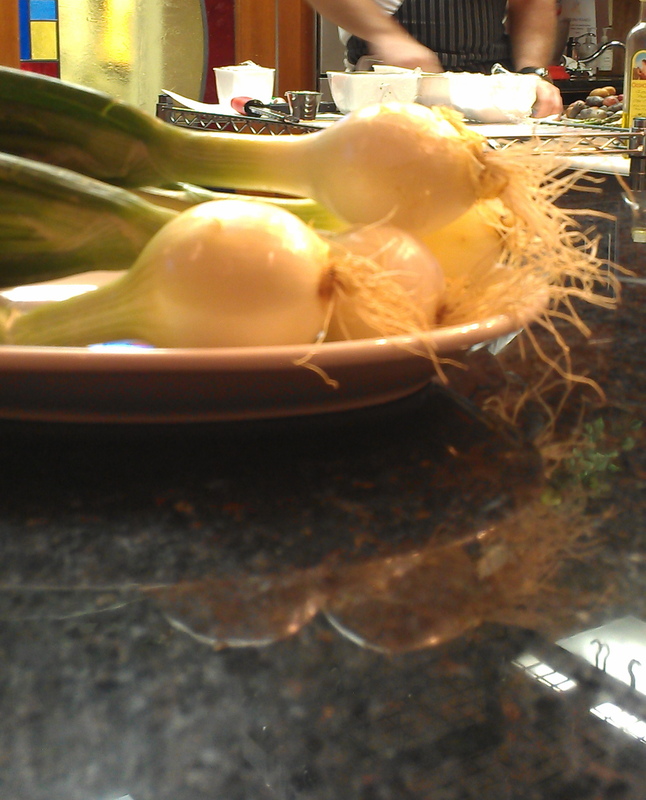 Is that a regular green onion only bigger? Where do you get fresh eggs? What are those potatoes called? What kind of cheese did you use for the bread and garlic? These are spring onions. Green onions are smaller. I didn’t use cheese. That was butter. Love the narration of the silly questions! I had to snort at the “I didn’t use cheese” line. Those veggies look amazing–I’m used to roasting veggies in the fall (particularly root ones), but this is a great idea. Seriously, I will never cook peas any other way again! And seriously, there was one woman who kept asking the most inane questions just to hear herself talk! Kudos to Chef Grant for being so patient with all the questions! I love roasted veggies and these look so dark and toasty-I am just imagining how tasty they were. Keep posting about these classes, I like these posts. Hahahaha… The answers to those questions were so funny! Thanks for stopping by and those peanut butter chip cookies look “to die for!” Let me know what you think after adding the rosemary. Love your site! Glad we found each other! 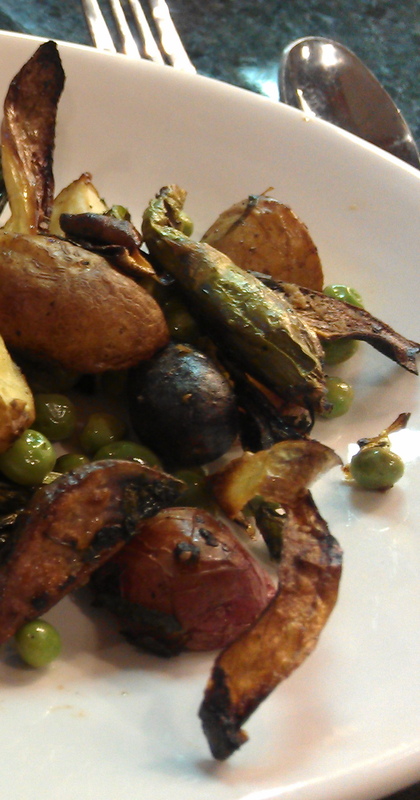 I love, LOVE roasted veggies…it seems everything tastes better roasted! I am craving these now! Roasting veggies fabulous!!! thats when you get to know the real flavor, specially with the aroma of the herbs.